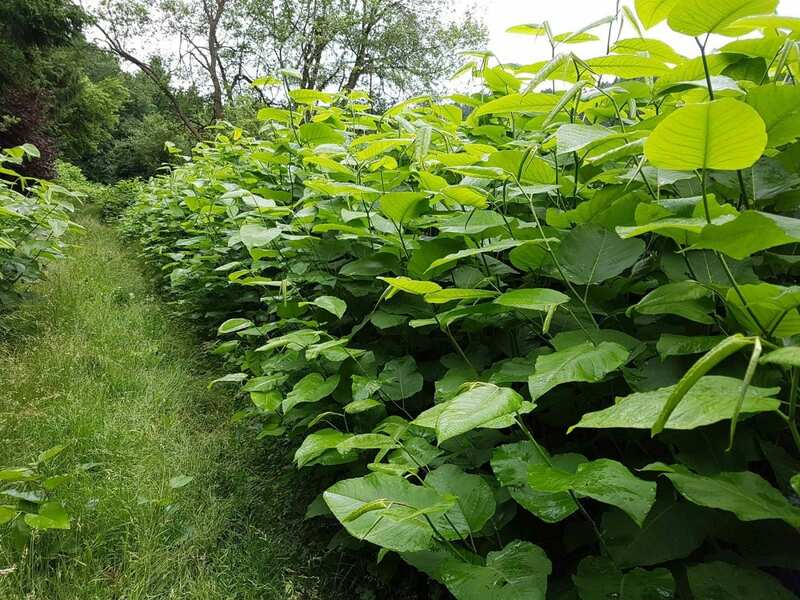 Japanese Knotweed (Fallopia japonica), is a large, herbaceous perennial plant, native to East Asia. In Europe, the species has successfully established in numerous habitats and is listed by the World Conservation Union as one of the world’s worst invasive species. ​The root system is highly invasive and its strong growth can damage concrete foundations, buildings, roads, paving, walls and architectural sites. Knotweed is a frequent colonizer of temperate ecosystems, roadsides and waste ground. It forms thick, dense colonies that completely dominate other herbaceous species. It’s spread has been partially attributed to its tolerance of a very wide range of soil types, pH and salinity. The underground stems can survive temperatures of −35 °C and extend up to 7 metres horizontally and 3 metres deep. Removal by excavation is extremely difficult. The plant is also resilient to cutting, vigorously resprouting from the roots.